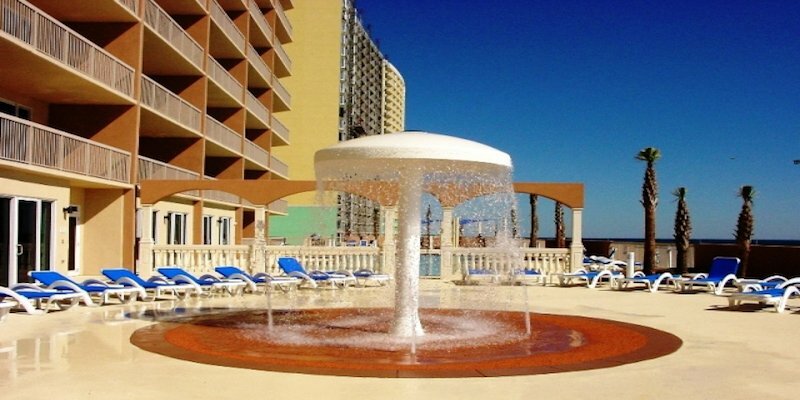 Sunrise Beach Resort Panama City Beach offers something for everyone in the family in a perfect central location to all Panama City Beach has to offer. Soak up the sun in one of the two resort pools, relax in one of the hot tubs or smile as the kids play in the splash fountain. 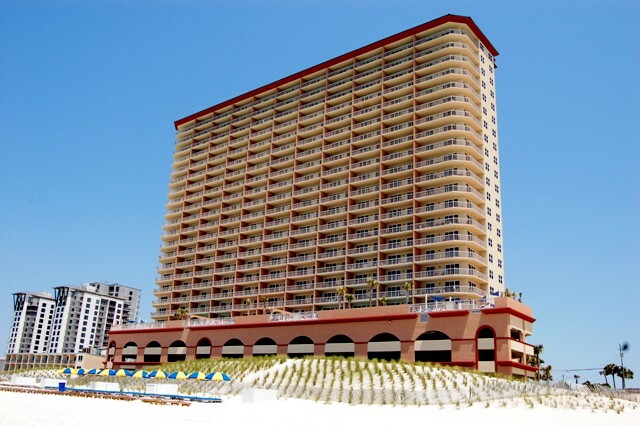 Sunrise Beach Resort Panama City Beach has one of the nicest fitness centers with fantastic views of the emerald green waters. After a day enjoying the sun and sand, throw some steaks on the grills and enjoy your dinner on your private balcony or take the night off and enjoy one of the many nearby restaurants. Every condominium features a master bedroom on gulf, spacious balconies and some of the most well designed floor plans you will find in Panama City Beach! Sunrise Beach Panama City Beach offers parking underground instead of across the street, so no long walk to get those groceries to your condo.